MANILA - It's not every day that you get a birthday greeting from the president of the Philippines. 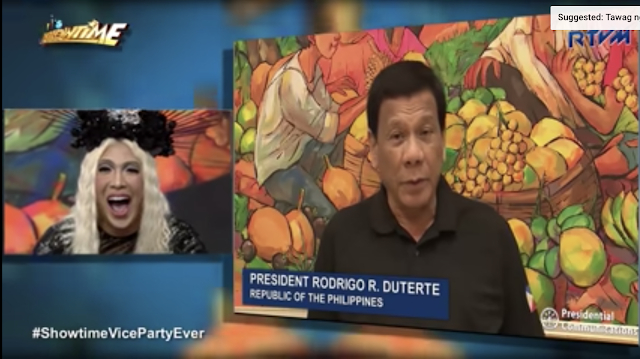 That was the case for Vice Ganda, as he was surprised with greetings from the country's top official during her birthday special on "It's Showtime." The comedian is turning 42 on Sunday. Duterte, said he regarded the comedian as "the beautiful Vice who has made so many of our million Filipino brothers and sisters happy."